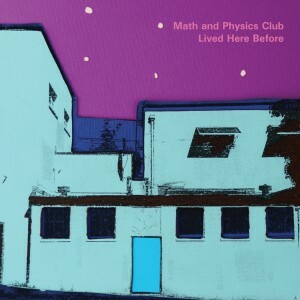 Math and Physics Club’s fourth studio album ‘Lived Here Before’ features all the carefully constructed pop handicraft we’ve come to expect from these Pacific Northwest lads, but also shows the band stretching confidently into new territory at a stage when many bands would simply be retreading the same paths. ‘Past and In Between’ whips things into a lather with its groovy bass and Motown beat that dodges in and out of piano, organ, and big, layered harmonies of oohs and ahhhs. But the final resolve is left to hang in the air, which smartly sets up perhaps the album’s high point, ‘All the Mains are Down,’ which rips along with chiming guitars, piano, and three-part harmonies that bring to mind early REM (one of the band’s lesser noted influences). Housed in a handsome six-panel eco-wallet with sleeve design by the band’s own Ethan Jones, ‘Lived Here Before’ is a magnificent addition to the Math and Physics Club discography.